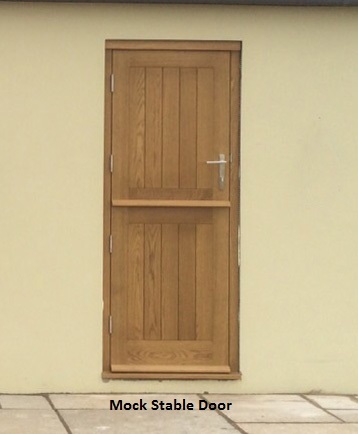 If you would like the look of a stable door but it isn’t a practical option for you we offer a mock (false) stable door. This is a fully boarded version (unglazed). All our other stable doors can also be made as mock stable doors.